Lauren is a TV and Film Editor, who originally got her start as a Production Coordinator, where she gained notoriety for her reliability and cool under pressure. After switching gears into post production, she excelled as an Assistant Editor and conquered the basics with ease, often anticipating the needs of Editors and providing support to both series and development projects simultaneously. Her work ethic and friendly disposition propelled her to Editor in under 2 years. Now a Reality TV and award winning Documentary Film Editor, Lauren has met every challenge with grace, compassion and an eagerness to do better each and every time. She's ready for the next best thing, and your name is written all over it. Edited by Lauren Beckett Jackson, Directed by Lyle Friedman, Written by Brittney King. 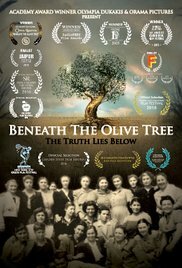 Edited by Lauren Beckett Jackson, Directed by Stavroula Toska, Narrated by Academy Award Winner Olympia Dukakis. First Time Fest Awards Ceremony - March 9th, 2015. From left to right: Sophia Antonini (Producer and Writer), Lauren Beckett Jackson (Editor), and Stavroula Toska (Director).